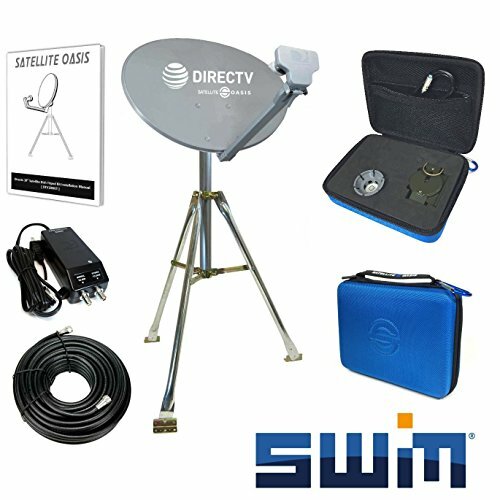 The Satellite Oasis Directv SWiM HD tripod kit is the new addition to our highly rating portable satellite dish tripod kit. This kit is compatible with your H25, and Genie model receivers (HR34, HR44, and on). The kit comes with everything you need to have portable satellite TV in HD. With our highly rated instruction booklet, you'll have the kit setup quickly and efficiently. This is DirecTV's original 18" satellite dish antenna w/ dual LNB (dual outputs). This dish typically receives programming from the 101 satellite for receiving basic DirecTV programming. This dish is approx. 18" round. You'll never have to be without TV again. With the introduction of the next level satellite antenna technology, your antenna choice for satellite TV is clear. 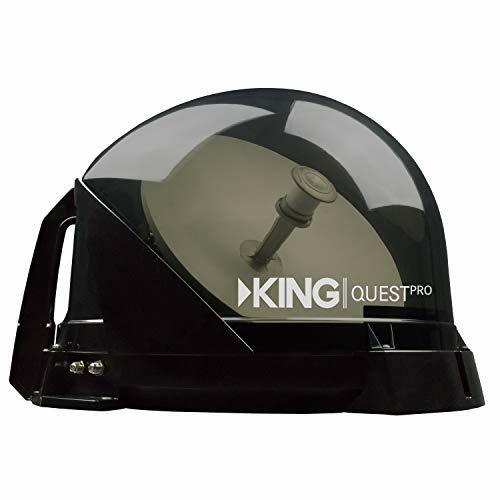 The reengineered KING Quest Pro fully automated premium satellite TV antenna gives you the freedom to take your favorite DIRECTV SD programming with you on the road, to the great outdoors, or anywhere you go in the continental U.S. (does not provide service while moving). Ideal for RVers, sporting and outdoor enthusiasts, tailgaters, long haul truckers or anyone with an active mobile lifestyle, the KING Quest Pro is highly portable, easy-to-use, and includes our ultramodern new clear cover an industry first. It's simply better, by design. 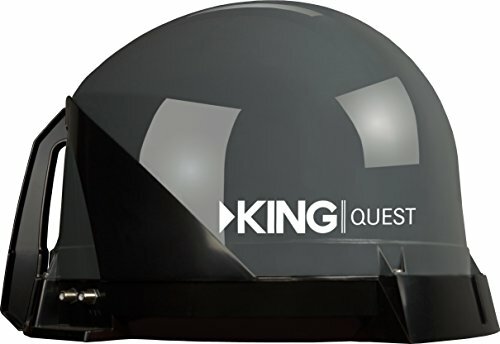 KING Quest Pro works for DIRECTV SD programming. SWM adapter required for SWM-only receivers. Get HD that domes can't! The SK-SWM3 DIRECTV Slimline is the only mobile automatic antenna to offer maximum DIRECTV HD programming. Never miss your favorite shows again with the power of multi-satellite viewing. Watch any program on any TV in the RV. Made with approved and certified reflectors to provide the strongest signal strength. Unit Weight: 53 lbs. 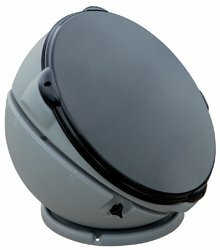 Travel Height: 9.75"Dimensions: 44"l x 34"w. Intended for RV or camper trailer use. Only port c should be used for making connections to the mount base. Do not connect the power inserter or receivers to port a or b. Multiple receivers will connect to the mount base via the splitter. Includes TRAV’LER SK-SWM3 Satellite Antenna, SWM Power Inserter, 4 Way Splitter, and Printed Documentation. 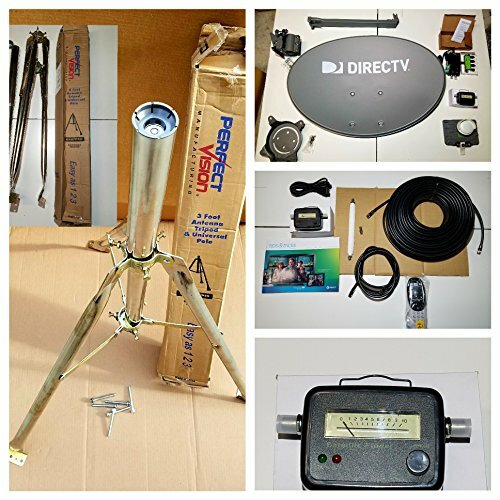 The Directv 18 inch Satellite dish RV tripod kit from Installer Oasis is the perfect cost effective solution for taking your Directv satellite service with you on the road. Compatible with H01 through H24 receivers. Compatible with standard definition receivers. Please check your receiver model. Not compatible with Genie receivers and client boxes. Not Compatible with H25, H44, HR25, HR34, HR44, HR54, C31,C41,C51,C61. Dish will receive the standard definition programming that Directv offers (no HD). The benefit of this kit is the ease of pointing. This device is easy to use and if you don't need HDTV on the road, this is great (and cheaper) solution! 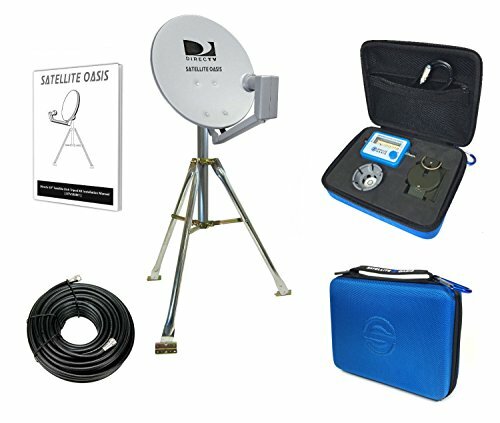 The kit comes with everything you need to get your satellite TV service on the road. All you need is your satellite receiver, your TV, and 120V power and you'll be ready to watch TV. 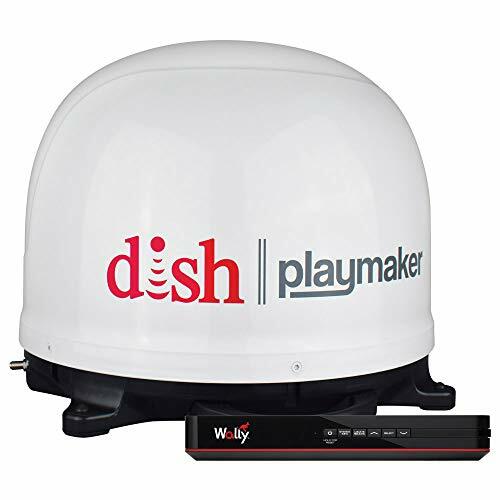 The DISH Playmaker PL7000R features a lower cost redesigned form. High-grade materials and low-profile for optimal performance. 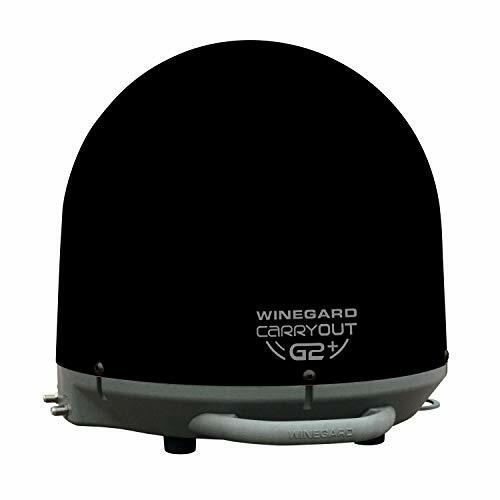 Features high-strength, military-grade aluminum reflector for improved signal strength. Up to 20% greater signal strength! Mount the PL7000R on the roof of your RV using the optional RK-4000 roof mount kit (sold separately). 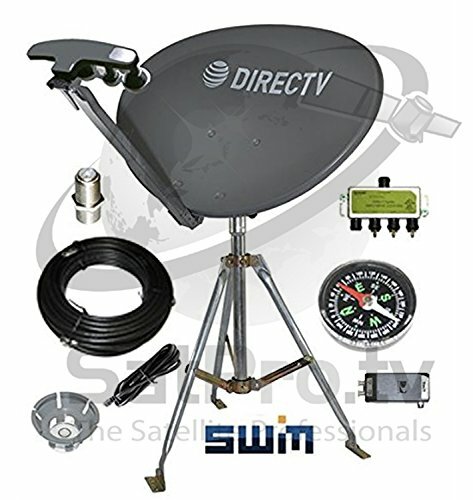 The Satellite Oasis HD kit is the most cost effective solution for taking your Directv service on the road! 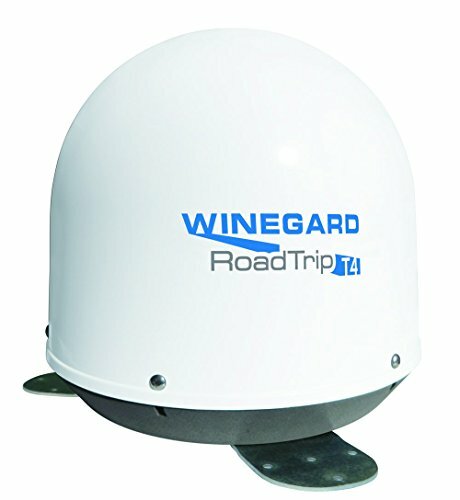 Use as your primary dish or purchase it as a back up to your roof mounted unit when you're parked in a tricky location. This kit comes with a simplified 32 page instruction booklet which makes professional installation a DIY experience. All you need is your satellite receiver and you're ready to go. The kit is compatible will all HD satellite receiver models that start with the letter "H". Is not compatible with stand alone client boxes; these models start with the letter "C" (called "mini-genie"). To operate client boxes on the kit will require the main Genie receiver to also be present in the system. This kit works anywhere in the continental United States. 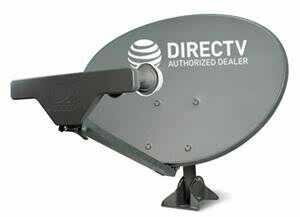 SatPro's NEW 2018 DIrecTV SL5S SWM RV is now shipping with the GEN2 slimline satellite dish. 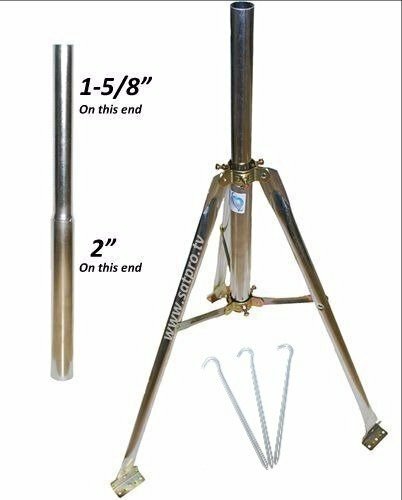 The Directv HD Satellite dish RV tripod kit from SatPro.tv is the perfect solution for taking your HD Directv satellite service with you on the road (RV Satellite, Camping). 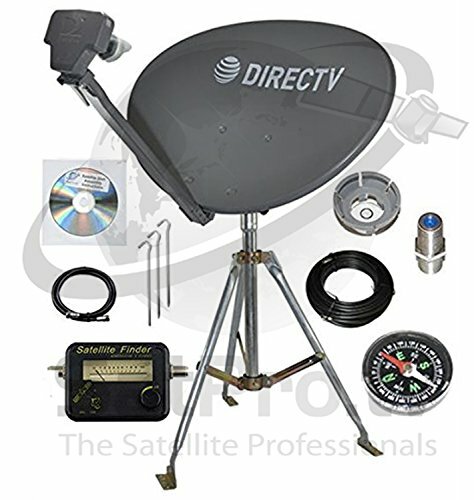 SatPro's exclusive 25 page detailed step by step instructions on dish assembly and receiver set up included on a CD! This will eliminate the guess work and make it easy to setup and point your dish. 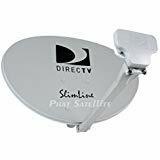 No need to purchase an expensive satellite meter simply use the Signal meter screen on the DirecTV receiver. If HDTV is what you're after while traveling, this is the perfect kit. 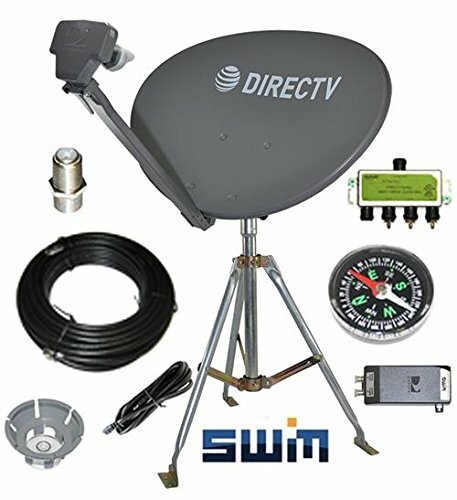 The kit comes with everything you need to get your DirecTV satellite TV service on the road. All you need is your satellite receiver your TV and 120V power and you'll be ready to watch TV. Compatiable with all Geneie receivers models HR33,HR44 ,HR54 and H25 H24 and H33 satellite Receivers. 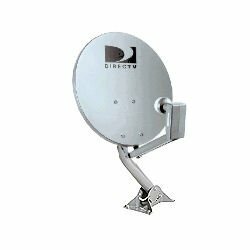 DIRECTV 3LNB slim line DISH kaku Swm3 HD short Roof only Stub foot with 4 way splitter. Power inserter is not included. This is the SL5 LNB. 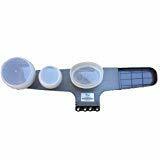 This LNB has 4 output for DIRECTV signal. This LNB is lighter and better looking. The Slimline encompasses three LNBs to receive 101°, 110°, 119° degree satellite, plus the new Ka satellite (99°, 103°) for local HD MPEG4 programming. 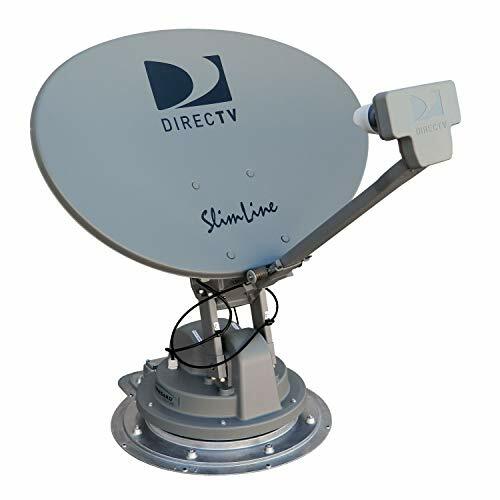 Satellite Tripod for Directv or Dish Network 2"
Compare prices on Direct Tv Satellite Dish at LiveSaler.com – use promo codes and coupons for best offers and deals. We work hard to get you amazing deals and collect all avail hot offers online and represent it in one place for the customers. Now our visitors can leverage benefits of big brands and heavy discounts available for that day and for famous brands. We try to makes comparison shopping easy with Product Reviews, Merchant Ratings, Deal Alerts & Coupons. Find Deals, Compare Prices, Read Reviews & Save Money.